Dedicated to the Holy Trinity of the Father, the Son and the Holy Spirit and Saint Mary, the Berwick Parish Church is located at a tranquil countryside overlooking the Tweed River. The church has an excellent choir group that is efficient in organ recitals as well as Amjazz. Behind the Vicarage, the main Parish Centre is located where the ministry classes and fellowship meetings take place. The Sunday Services at the Berwick Parish Church comprise of the 8.30 am Holy Communion, 10 am Parish Communion and the 6 pm Choral Evensong. During the Parish Communion, on every first Sunday there is the Healing session led by the Healing Ministry. The daily Mass takes place at 8.30 am and then 5 pm. 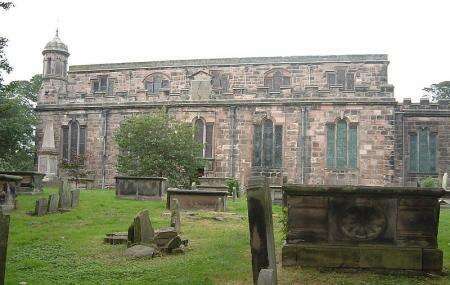 Unusual church as it was built during the Commonwealth era of English History.